There is absolutely no contradiction about the fact that on demand food delivery apps are a boon for food lovers. Such apps have totally eradicated the need for performing hysterical jobs of searching for good restaurants with divine food to satiate your taste buds. Now, you can easily browse through the comprehensive menus of various restaurants and order your favorite dish from the comfort of your home or office. These apps will get your food delivered piping hot right to your doorstep. Now isn’t that amazing? Globally, the food delivery market stands at €83 billion which is approximately 1 percent of the total food market as well as 4 percent of the food sold at restaurants. This figure has already matured in a plentitude of countries with an annual growth rate predicted at 3.5 percent for the subsequent 5 years. Zomato, Seamless, UberEats, GrubHub are some of the really popular food delivery apps and I am sure each one of you must be aware of at least one, out of these. Delivering colossal ease to its users, these apps help in providing fresh food at the doorstep without bargaining with your busy work roster. Moving on, these food delivery apps have not just impressed the users, but it has also managed to seize the interest of mobile app developers and restaurant owners alike. In fact, there is a humongous amount of competition in the online food ordering market where all restaurant owners are trying to deliver food in the smallest possible time frame. For example, UberEats promises to deliver food in less than 10 minutes. The emergence of food-delivery apps has thus, radically reformed the food delivery platform. Bringing in a lot of comforts to the customers, these apps have altered the way of ordering food and had made it a matter of few clicks. You may like: How to Improve Your Business Privacy? Considering the rising competition, it is imperative that your on-demand food delivery app should be an all-inclusive mobility solution is embedded with unique and utilitarian features that can entice the customers and keep them with you. As a restaurant owner, you can register yourself with any of the existing online platforms; however, if you wish to extend better, with more personalized services, you can develop your own mobile app. 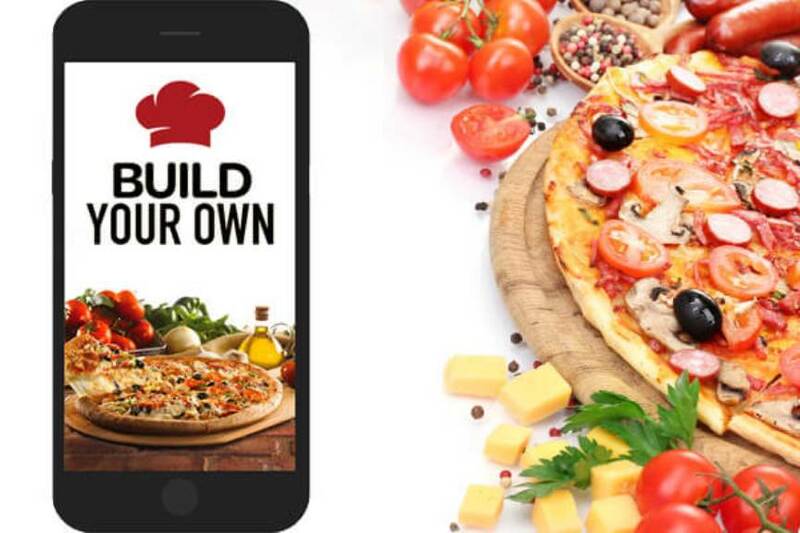 In the latter case, you can consult a seasoned Mobile App Development Company who can leverage their expertise to develop a competent on-demand food delivery app solution. Following is a quick rundown of some significant tips that need to be borne in mind before embarking on the food delivery app development. Offering the users a customized and unique solution is perhaps the only way to outdo your competition. Anyone can come up with a clone of an already successful app, but it is a real challenge to innovate and so as to extend serious value to your users. So, think of unorthodox ideas and discuss your concepts with your app developer. Get conversant with your target customers and understand their needs and choices. This will allow you to build an efficient customized mobility solution for your idea. The numerous mobility solutions available today provide the users a lot of spare time and reduce their efforts as well in for searching for any particular service. On the other hand, these apps are social media friendly, thus giving them a chance to share their chronicles with their loved ones. So, make sure that your food delivery app comes with quick sign-in and sign-up features that saves the user’s time and allows them to share all their food posts with their friends and family. It is always a huge plus to keep the users updated with the whereabouts of their order so as to keep them engaged. So, make sure that your app comes with a feature where the users can track the real time location of the ordered food, such as, the time it went into the kitchen for preparation, when it got dispatched and the final time it is expected to reach. Apart from keeping the users involved, such tracking data will help you gain their fidelity. The foremost expectation that users have from on-demand delivery apps is timely delivery. Statistics show that late and untimely deliveries have been the major reason for customers abandoning a delivery app. Food arriving well in time will help to build a robust relation with your customers whereas even a small delay can easily spoil it. So, it is advisable that you take orders only if you are confident about delivering them in time. Focus on providing optimal quality of service without rushing for quantity. One of the best approaches to develop a triumphant on-demand food delivery app is taking the valuable customer reviews, ratings and feedbacks into account. The rating may pertain to anything such as it will depend on taste of the ordered food, whether it was delivery on time, whether it was delivered piping hot, etc. Based on such ratings and comments, you can plan and implement improvements as well as fresh new ideas to provide the best customer experience. A lot of popular apps are exploiting this technique to enhance their quality of service. For example, Munchery asks the customers to rate its chefs and UberEats asks the same for their delivery drivers. The trend of online payment has increased colossally among the newer generation. Most of the apps available today permit the customers to carry out a payment for their order within the app. Some of the best such app examples are McDonald’s, Pizza Hut, Dominos, etc. Apart from this, you can provide various other payment options such as Paytm, PayPal, Debit/Credit Card, Wire Transfer, etc. There is a plentitude of people who still choose the conventional ways, so do not forget to offer Cash on Delivery payment option to cater to such users. On-demand food delivery apps have completely revolutionized the food ordering platform, setting up new benchmarks for the users and entrepreneurs. At first, the implementation may seem a little overwhelming, but a good research and little market study can help you reach a favorable outcome. Remember, providing a unique and personalized experience can help you win more customers while keeping the existing ones intact. Arun Goyal is Managing Director of Octal IT Solution, a leading Web & Mobile App Development Company offering platform to hire dedicated developers for your development requirements. Follow him on Twitter, Facebook & LinkedIn. Wonderful post!! I really appreciate the time you took to explain and connected Zomato, Seamless, UberEats, GrubHub are some of the really popular food delivery apps. that is very helpful for on-demand food delivery. Thanks for sharing the food delivery app development content. I like it and appreciate.